Tales are told of the mightiest warriors and generals, who, cursed with hate and stung by betrayal, have come back to this world as Death Knights. 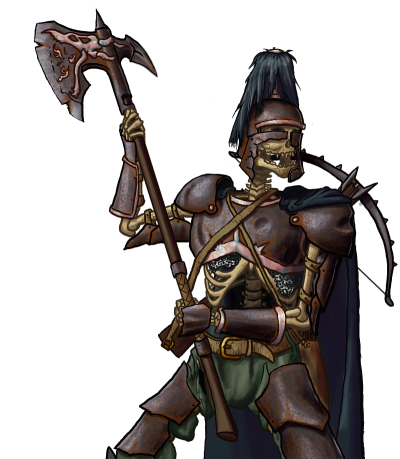 Wielding the same weapons as in life, they command the Undead in their quest for revenge. Special Notes: The leadership of this unit enables adjacent units of the same side to deal more damage in combat, though this only applies to units of lower level. This unit can move unseen in deep water, requiring no air from the surface.